If you own a home and you’re thinking, wondering, “how do I sell my house fast in Stockton,” this blog post is a quick tutorial on your available options, and how you decide which option is right for you. The first thing to consider is: how long are you willing to take to sell your house? Most people think of selling their home the traditional way, by listing with an agent. This method of selling can take 3 to 6 months (sometimes longer, depending on market conditions) or it could potentially not sell at all for a variety of reasons like, condition, price and location. So if you have a lot of time and are not in any rush, this might be a good option for you. One thing to consider when selling a house, each month you make a mortgage payment is a cost to you, meaning if you sold your house for $15,000 less right now, that could be the same as paying a mortgage of $1,500 per month holding out for that higher offer. You essentially just drag out the process for the same net return. This is why selling fast may make more sense. Time and money is why many homeowners don’t want to wait that long. Usually people sell because they need to move and they don’t always have 3 to 6 months (or longer) to wait for a sale. So there is another option, and that is to bypass the agent and sell directly to a home buyer. 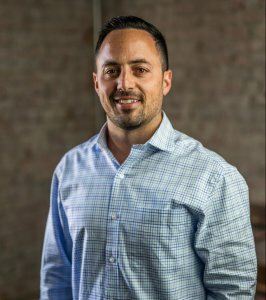 Most people are surprised by this question because they don’t realize that they have to spend money to sell their house but if you sell the traditional way, there are two times that you have to spend money: before you list, you almost always have to renovate your property to get it ready to sell, cleaning, painting, fixing everything that is broken or out dated; and after you sell, when you pay your real estate agent a commission for selling the property. Both of these can costs THOUSANDS of dollars. Not all homeowners are comfortable SPENDING all that money in order to SELL their house. Why not? Well you may not get a good return on the money you put into the house preparing it for sale, your cost will likely be significantly higher than what it would cost a direct buyer who has established relationships to keep repair cost down. In addition to that many home owners don’t have the appropriate capitol to make the costly repairs in order to prepare it for a traditional sale. 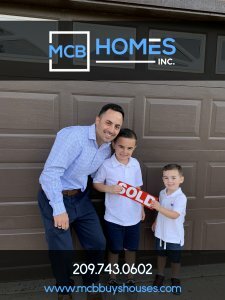 If you’re a homeowner who would prefer to keep more in your pocket, you have another option: you can sell your house direct to a homebuyer like us at MCB Homes Inc.. We buy houses as-is and take care of all costs (and there are no fees or commissions). Some homeowners believe that the market price for their house will be high, so they’re willing to wait and gamble and see if a buyer will purchase it for that price. When a buyer is eventually found, they MIGHT offer more, the same, or less than the asking price. Just remember each month you pay a mortgage payment costs you money, selling for a reasonable price typically works out better than chasing a unicorn that you may never catch. This is why not all homeowners like the “unknown” of this gamble. They don’t want to wait months in the hopes that someone will offer what they’re asking. They subscribe to the saying, “a bird in the hand is worth two in the bush”, meaning that they’d rather work with a home buyer – even one who might offer slightly less than a market price – in order to know EXACTLY how much they can get for their house right this very instant. Plus most of the time, the time to sell is when you can because if you let that buyer move on to the next interested seller, you might have just missed your golden opportunity to sell your house. If you have someone seriously interested in making your life easier buy purchasing your house for cash in as little as a day, you show it once and have it sold right then, that’s a pretty sweet opportunity. If you’re a homeowner and you’re wondering, “What are my options to sell my house fast in Stockton?” then it really comes down to these 3 factors that will determine whether you’re willing to list or to sell right now. If you want to sell your Stockton house fast, we’d love to make you an offer. Give us a call at (209) 743-0602 or click here now to fill out the form.